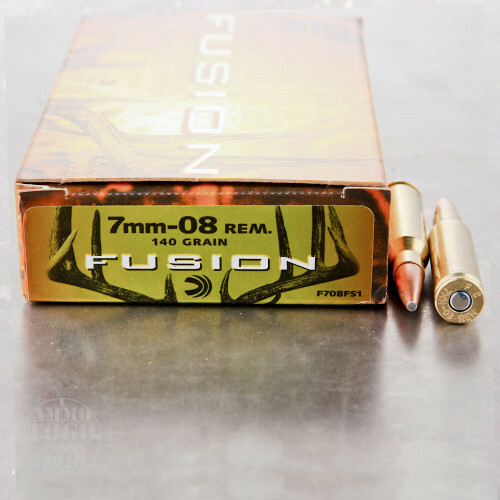 This 7mm-08 Rem cartridge from Federal’s Fusion line of ammunition features a 140 grain Fusion soft point projectile. 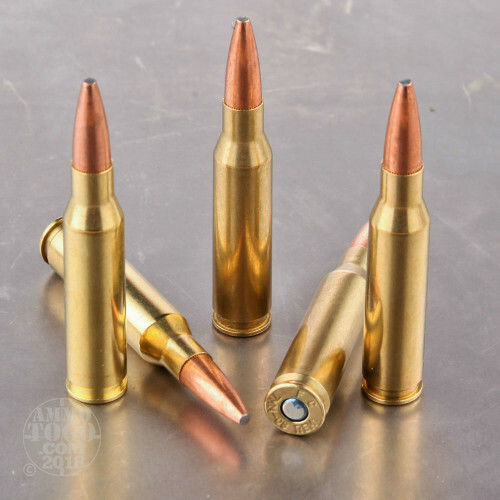 The bullet takes its name from how its perfectly uniform jacket is electrochemically fused to its core: Because the two are so well united, they are virtually incapable of separation during penetration. The bullet’s core is formed under high pressure, both strengthening it and allowing practically no deviation in its weight so that it may deliver consistent results in flight. 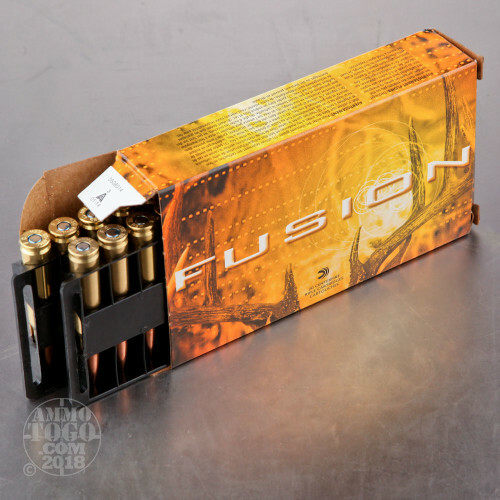 The Fusion SP features a boat tail design, the tapered base of which improves its ballistic coefficient to give it a flattened trajectory, greater retained velocity downrange, and higher momentum upon impact. Its exposed lead core is complemented by its skived tip, which essentially pre-programs the fashion in which it widely expands. 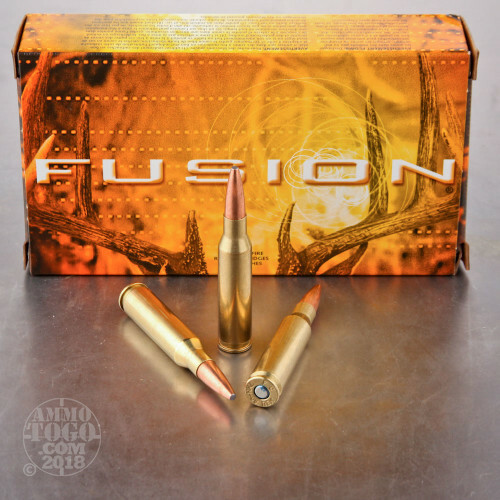 The accuracy and predictability with which this round performs makes it an effective and not altogether terribly expensive solution for hunting whitetail. posted on 7/9/17 by Jim J. Mc. By far the best round for my Savage and Ruger America. Tight group and lethal on all pigs and deer.